When it comes to good dental health, prevention is key. Routine dental check-ups are the best way to catch any potential problems at their earliest stages, saving you both time and money in restorative dental work. At your initial dental exam, and periodically after that, your dentist will take check-up x-rays. 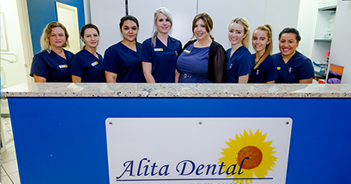 At Alita Dental, we offer digital state-of-the-art low radiation dosage x-rays to ensure a comprehensive dental exam. We recommend that you have a dental check-up at least twice a year. If we have identified any prior dental health issues, you may need to visit more often. As you age, your dental health needs may change so it is important that you establish a regular routine of dental visits. If you are wondering when your child should begin their dental visits, the answer is: as soon as they have teeth! Establishing good oral hygiene habits in your children is vital to their health. Our friendly staff will make each visit to the dentist fun for your children, so they will always look forward to their next visit. Your dentist can also monitor the eruption of your child’s teeth and advise you if and when early orthodontics may be an option. Usually, orthodontics can start as soon as there are adult upper and lower front teeth in place. You do not have to wait until all the adult teeth are through. Our orthodontic imagery and consults are provided to you free of charge. 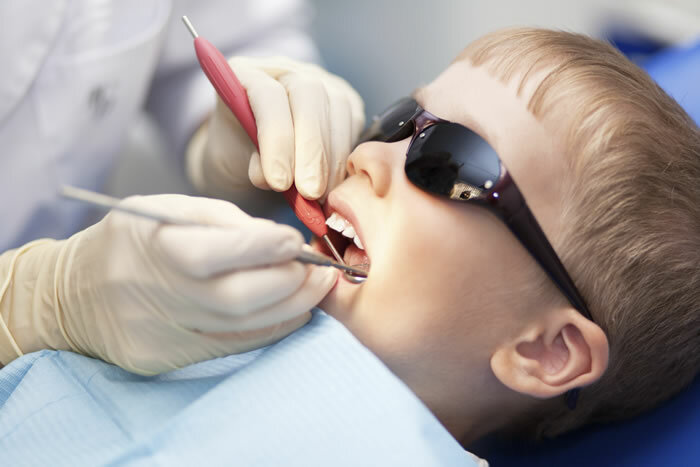 Once your child has permanent molars (about six years of age), you should talk with us about fissure sealants to protect against future decay. When permanent molars first appear, the chewing surface of the tooth is covered in tiny pits and grooves called fissures. We clean and prepare the surface of the tooth then use a liquid material to fill these pits and grooves. This effectively seals these areas from bacteria that causes decay and is a great investment in your child’s future dental health.